Register Log In AmbergrisCaye.com Home Forums Cayo Why Did The Belmopan Mayor Sell Out PSU HQ? Khalid Belislie has been the mayor of Belmopan for three and half years. And in that time - the laid back mayor of our laid back capital has been able to steer clear of national controversy. But, tonight he's in the thick tangle of a dispute that definitely has legs. Mayor Belisle is the one who signed off on the deal to sell the Public Service Union's Hilltop Headquarters to a Chinese-owned company for $400,000 dollars. "Looking at the agreement, we said okay well we have what would seem like a valid lease here, but where is the payment? So we started digging. We could find absolutely no record on any payment from the Public Service Union to the Belmopan City Council for the rent that had been agreed to that they had signed on to. So I personally reached out to the PSU so that we could have some sort of dialogue about this." "That's was in August 2017. So instead of being hasty and say oh invalid lease, no payment, lets cancel and move on. We decided to invite the union in for talks. Those talks went on over a brief period of time couple months I would say, at which point we decided to sanctioned a valuation of the property which came back at roughly $503,000. Their offer was $187,000 best and final offer. This is after we told them we have had a valuation done in house at $503,000. The thing about that in house valuation is that it represented a severe haircut from the get-go. Our technical director who was skilled in these matters, former employee of the Ministry of Natural Resources herself had told us that if she was valuing for private enterprise this property would actually been valued at $700,000 plus thousand dollars." "$187,000 best and final offer. I am told that our city administrator intervene and said well that is unacceptable to the council and he stated to them we will give you a month to please go back and come back to us with something more reasonable. That month lapse. We had absolutely no indication from the PSU in terms of coming back to us and so the council decided to move on." "Was it so cold and unemotional a calculation? Didn't any in council have some political to say. You are not as venial as the other big room in Belmopan where they make the decisions, but you all must have some sense - this is the PSU, we need to find something that works, because this is a social partner, a part of the social compact in our society." "Yes, and we had tried Jules to work with them over the course of 15 months." "Was there any other option on the table, aside from the fact that you guys wanted X amount of money, they wanted $187,000 to pay for the property. Was there any other option on the table?" "I don't recall discussing any other option. We were working towards a final sale." "Half a million is a lot to ask a union for." "Clearly there was flexibility, because we didn't end up selling for half a million dollars, Jules. But we left the door open for them to come back to us and they never did." "There are aspersions being cast about the transaction itself. That its $400,000 you sold it to a company own by a Chinese business interest from the North. The assertion is that the company was formed the day before the transaction and when you have a company, which is not a growing concern, which is created it seems simply for the purpose of finalizing a transaction would suggest that something will be dubious about the transaction or untoward. How would you explain that part of it?" "Your suggestion doesn't make it facts, Jules and you seem to have done a bit of your homework. This business group from up North decided that as opposed to continuing this new project that they plan to propose to embark on under their previous umbrella that they wanted something fresh and new, so that it could be separate from their other interests and that's my understanding of why it was that the new company was created." "The sale has been made. There is a lot of opposition. The PSU is receiving a lot of support demanding that this be returned to the PSU. On the council's behalf, is the sale final?" "In terms of the finality of the sale, at this point the sale is final." 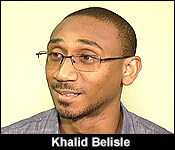 Khalid Belisle, Mayor - Belmopan City "I'm not going to commit to irreversible quite as yet, Jules." So not irreversible, not just yet. But there's a whole lot of patching up to do. And a large part of that is because the PSU was so delinquent in making lease payments. The council found no payments on its record going back to when the lease was signed in 2001. The PSU found four receipts dating back to 2008 and totaling two thousand dollars. The council calculates that that is about one hundred thousand dollars short of what they should have paid in lease rental. "This property has never been the property of any other entity other than the Belmopan City Council. In the 2003 lease agreement, in the area that speaks about the conveyance, what the union commits to. I'll just refer it to as 2(F) as a part of this lease agreement. 2(F) states, it says the union conveyance and then (F) states "it shall not sublet the facilities without the express written consent of the council." Yet we know, we live in Belmopan. This facility has been rented to a church for the past minimum of 12 years at the monthly rent of $350.00 a month. But what's coming to the council? Absolutely nothing. I would be inhuman if I told you that at least I couldn't comprehend how it could be possible for you to not only not pay into the council what you are to pay. But then to further go and rent out the facility, make money off of it, because that's what it ended up being and then turned around and be the aggrieved party." And while the mayor feels the PSU has no standing to act as the aggrieved party - he also concedes that the council made the deal because it was desperate for revenues. Like all other municipal bodies, the Belmopan Council is in its revenue low season at the end of the year. He admits that an influx of cash was an incentive to seal the deal:..
"What are the revenue exigencies, the revenue shortfalls that you all have to respond to and how much of a factor in the constant cash crunch which the council faces - how much of a factor in that was the consummation of this deal?" "It was a significant factor, Jules." "Is 40% discount for a cash sale - is that standard or consistent under what the council would do? It seems rather generous." "I would have to say to you that I believe $400,000 was a fair price." "So then if you would entertained a 40% discount for a private developer who is not you could say a son of the soil in Belmopan. The business owner is from Corozal as I understand it. So then why couldn't you give or offer a 40% discount from the $503,000 evaluation for the PSU, which would put you in the vicinity of maybe $300,000?" "But we waited for them to come back to us, Jules." "I would imagine that on some level, you're saying but wait, this is outrageous. You don't pay me any lease, only $2,000 - $100,00o short me, over 18 years. You don't respond to my call for negotiation and now its my fault? Is there any feeling on your part that this is a bit outrageous, considering the council's restraint?" "Jules, I'll be lying to you if I told you otherwise and I'm not going to do that here this afternoon. Like I said, with some other mayor - open and shut case. Cancel lease - moving on. Not what this mayor and this council decided to do." "The PSU says "we shall not be moved" and you know that unions and their brother and sister unions are joined and we know that unions can engage in civil disobedience and resistance. This is a real problem. Is this something that you have anxiety about that you want to try and solve before it gets to that point?" "You could offer them another piece of land in Belmopan." "I believe we are certainly prepared to do that." "Has there been any discussions with the developer or the new land owner about them perhaps taking an alternate piece of land?" "We've started that discussion. That's as far as I am willing to go." The mayor is scheduled to meet with the President of the PSU, Dareth Obermayer tomorrow at 10:00, so we'll see what comes out of that meeting. The lands department under the Ministry of Natural Resources is also under scrutiny in the PSU land case. The PSU suggested that there was some collusion within the lands department to get the transfer finalized and recorded so swiftly. Well today, Natural Resources Minister Hugo Patt granted an interview to 7News where he clarifies that the lands department had nothing to do with the sale or purchase of the hilltop lot. All they did was document the transaction at the registry department. Here is that conversation with Minister Patt. "It wasn't incumbent on us as a Ministry particularly speaking about the registry department to find out who the particular parcel of land is being sold to or transactions would be there and the onus on us is just to register a particular transaction. The lands ministry and the registry section of our ministry does not in any way get involved of who is selling or who is buying." "On part of the PSU, they are saying that it was such a quick process, it was expedited because they are saying that Simplex Design the company was registered October 9th and then on October 10th they signed off the land to this same company?" "From the information that I gathered, I was informed that it took actually seven says for the process on our end to actually be finished you will note we sent out a press release Courtney, we are speaking about efficiencies and our target is five working days so it is not unusual for us to be processing at that time." "The PSU believe or certain observers believe that it is only because this transaction or this transfer involves the UDP city council and another Chinese business owner that this process was expedited and that it is now you bring up the idea of efficiency when there are other citizens who would complain that there is no way that they would get those land transfers so quickly." "Look if there is any particular government agency that would approach the department and says look I want this to be expedited in any way possible, first and foremost we have to make sure everything is in order and then we proceed to assist in that fashion but as I said there is nothing illegal about this, the ministry as we speak is moving towards improving the services we ought to provide for citizens." "So you can say there was no special consideration made in this case?" "Procedurally speaking once it is in order it is processed." "You did not intervene as the Minister to expedite this process, the CEO or no one high ranking official didn't intervene to ensure everything was signed off perfectly?" "I can speak for myself, I did not intervene in any possible, there is no need for anybody to process a particular transaction which is a private one." Patt also added that if anyone should be talking about expediting matters, it should be the PSU because he says the cabinet extended courtesies to the PSU for them to secure two lots up north. 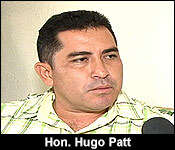 "The cabinet decided to give two prime parcels of land to the PSU, one in the Corozal district and one in the Orange Walk district, we gave those parcels of land for $1,000 each and if we are talking about efficiencies, the same people from the PSU went to our office and asked for them to be accommodated in getting the documentation done and we did it in practically a day and so when we are talking about accommodating and efficiencies, I don't think the PSU can complain that we did not procure when they had requested of our assistance." Patt also said that he doesn't know who Simplex Design owner Xin Ni is neither does he know anything of the company. Patt confirms that the PSU has lodged a caution against this land sale at the Land department. And, caution is just what the National Trade Union Congress of Belize says the Belmopan Council threw to the wind when it sold the land. 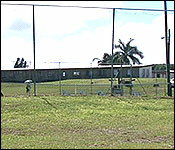 A breathless release calls the sale, quote, "Unfathomable, morally repugnant, counter-productive, ill- considered, unconscionable, (and) scandalous…"
The release goes unto say, quote, "The NTUCB considers it bone-chilling that the Belmopan City Council chose to target a venerable institution such as the PSU....NTUCB stands in full solidarity with PSU in demanding that the Belmopan City Council reverse course and restore Hilltop to the PSU." End quote. We'll see what comes out of tomorrow's meeting between the Mayor and the Union President. Right under the PSU’s nose! 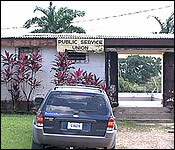 The Public Service Union (PSU) of Belize has begun mobilizing its members countrywide today after its Belmopan branch discovered that their headquarters was sold by the Belmopan City Council to a Chinese businessman who had registered his construction company at the Belize Companies Registry on October 9 — just a day before the company purchased lot # 6061, the PSU headquarters, for $400,000, a price that is well below the last valuation of the property. In 1998, the building known as Hilltop was an abandoned structure when the PSU Belmopan branch was searching for a place to locate its headquarters. Elections were around the corner and the PSU approached both the United Democratic Party and the People’s United Party about getting a building for its Belmopan headquarters, according to Hubert Enriquez, a former official of the union at the time. The incoming government of Prime Minister Said Musa met with PSU representatives and offered them the Hilltop for their headquarters. There was no Belmopan City Council at the time and the property was leased to the PSU through the RECONDEV in 1998. In 2001, the PSU was headed by its president Margaret Ventura, who signed the agreement with the Belmopan mayor Anthony Chanona, with Prime Minister Said Musa serving as witness. Enriquez said what has happened with the PSU property is a disgrace and requires a proper investigation. On October 9, 2018, Xi Ni, a Chinese-Belizean, and resident of Santa Rita Layout, Corozal District, registered a company “Simplex Design Company Limited,” at the Companies Registry, in Belmopan. 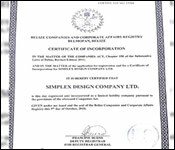 Our investigation has revealed that Ni is listed as the sole director of Simplex Design Company Limited. The company is established to deal with all aspects of building construction. On October 10, Ni, of #38 Santa Rita Layout, Corozal District, placed his signature as the transferee for parcel #6061 in block number 20 in the Belmopan Registration Section. 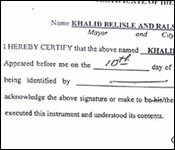 The Belmopan Mayor, Khalid Belisle, signed as the transferor along with the Belmopan City Administrator Ralston Fraser. Ni paid a consideration of $400,000 for the 1.507 acres of land. The certificate of identification of Mayor Belisle and City Administrator Fraser was signed by Phillip N. Timmons, MBE, Justice of the Peace, while Sonju Chulari, a Justice of the Peace from Corozal Town, signed the certificate of identification of Ni. Both identification documents were signed on October 10, 2018, the day of the land sale. One month and one day later, the president of the PSU, Dareth Cayetano- Obermayer, and Fayne Nicascio signed a Caution as the beneficial owner as per lease agreement dated 19 September, 2001, between the Public Service Union and the Belmopan City Council. The Caution stated that the lease agreement between the Belmopan City Council and the PSU was for 20 years with an option to purchase. “The expiration date for the lease would be 2021, please find attached payment toward the purchase of the said lease,” said the Caution. PSU President Obermayer told the press today that the Belmopan City Council did an evaluation of the property in 2017 and it was valued at 1 million dollars. At that time, the Belmopan City Council assessed the purchase price at $503,000. On October 9, Obermayer explained, they were supposed to have a meeting with the Belmopan City Administrator, but they waited and waited and Fraser never showed up for their meeting. When they checked with the cashier about the payment that they had made toward the purchase of the land, they were told that their payments could not be found; only the lease agreement was found. It was also revealed at today’s press conference that in January 2009, the PSU had sent a $1,000 payment toward the purchase of the land, but this money was not accepted by the Belmopan City Council. Obermayer said that to date, the PSU has paid around $50,000 toward the purchase of the Hilltop land — with initial payments going to RECONDEV in 1998, and payments thereafter going to the Belmopan City Council. Today, the Opposition People’s United Party issued a press release condemning the action of the present government. “The People’s United Party (PUP) condemns the actions of the Government of Belize in dispossessing the Public Service Union (PSU) of a property from right under their nose and in such a back-handed manner. The PUP demands that Government immediately returns this property to the PSU,” said the PUP release. Late this evening, the Belmopan City Council issued a press release on the question of the PSU land that it had sold. 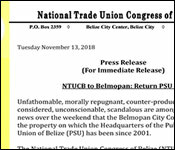 The press release said, “The Belmopan City Council (BCC) takes this opportunity to clarify statements made by the Belize Public Service Union (PSU) as it relates to their headquarters in Belmopan. The building used for the PSU headquarters is situated on Parcel No. 6061 owned by the BCC and was first leased to the PSU in 2001 for a term of 20 years at the rate of $500 per month. “Subsequent to the signing of that agreement, a new lease was signed in 2003 for a term of 20 years with a monthly rental in the amount of $500, with an option to purchase upon completion of the contract. All payments made over the course of the lease would then be applied to the purchase of the property if the Union chose to exercise their option to purchase. “In an effort to work with the PSU and maintain a relationship with the union, the BCC was still willing to honor the first right of refusal for purchase despite the breach of contract for nonpayment. The BCC offered the property for purchase at a heavily discounted price of $503,810.54. The PSU then made a counterproposal of $187,278.70, which was less than half of the already discounted valuation. The release ends saying, “The Belmopan City Council makes it absolutely clear that every effort was made to come to an amicable agreement with the Public Service Union that would be beneficial for all parties involved.